Supplier & Exporter of ASTM A105 Carbon Steel Pipe Flanges, CS A105 Slip on Flanges, Carbon ASTM A105 Lap Joint Flanges, Carbon Steel A105 Blind Flanges Manufacturer in India. 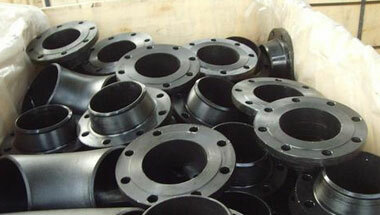 We are an internationally renowned manufacturer and exporter of superior quality Carbon Steel ASTM A105 Pipe Flanges. We offer an enormous array of Carbon Steel Flanges. Fabricated using premium quality raw materials, our range of carbon steel flanges are meticulously designed with utmost attention to quality. Widely used in Application like Petro-chemical industry, Oil and gas industry, Nuclear industry, Pulp & paper industry, Research & development, Mega projects, Defense industry, Development industry others etc. These Carbon Steel ASTM A105 Flange are manufacture in different Type of Flanges like Carbon steel Blind Flange, Carbon ASTM A105 Spectacle Blind Flange, Carbon steel Slip On Flange, Carbon steel Socket Welding Flange, Carbon steel ASTM A105 Welding Neck Flange, SORF Flanges, A105 Collar Flange, Carbon steel Plate Flange, Carbon steel ASTM A105 Raised Face Flange, Carbon steel Flat Face Flange, SWRF, WNRF, BLRF, Carbon steel Lapped Joint Flange, Carbon steel Ring Type Joint Flange, Carbon steel Threaded Flange & Carbon steel Long Welding Neck Flanges, Low Temperature CS Flanges, IS 2062 Flanges, ASTM A420 WPL6 Flanges, ASTM A860 WPHY Flanges, ANSI B16.47 Flanges, ANSI B16.36 Flanges, PN 10 Flanges. Carbon ASTM A105 Pipe Flanges Manufacturer, CS A105 Plate Flanges, ASTM A105 DIN/ASME Pipe Flanges, Carbon A105 Socket weld Flanges, ASTM A105 Carbon Lap Joint Flanges Suppliers in India. South Africa, United States, Tunisia, London, Bahrain, Nigeria, Italy, Ethiopa, UK, Chine, Venezuela, Iran, Sudan, Jordan, New Zealand, Africa, Canada, Saudi Arabia, Cameroon, Trinidad and Tobago, Kuwait, Ghana, Angola, Indonesia, Russia, Mozambique, Malaysia, Colombia, Egypt, Democratic Republic of the Congo, Peru, Mexico, Azerbaijan, Uganda, Kazakhstan, Sri Lanka, Australia, Thailand (Bangkok), UAE, Houston, Dubai, Israel, Brazil, Argentina, Turkey, Algeria, Iraq, Vietnam, Morocco, Germany. Tripoli, Accra, Omdurman, Zaria, Lubumbashi, Fez, Ouagadougou, Doha, Ibadan, Cape Town, Cairo, Port Harcourt, Mogadishu, Singapore, Bamako, New York, Giza, Dakar, Algiers, Kampala, Johannesburg, Antananarivo, Durban, Rabat, Jerusalem, Tehran, Cairo, Riyadh, Kaduna, Maputo, Byblos, Mecca, Istanbul, Abu Dhabi, Muscat, Khartoum, Harare, Kano, Yaoundé, Dammam, Maiduguri, Pretoria, Tel Aviv, Alexandria, Douala, Conakry, Bulawayo, Jeddah, Freetown, Bethlehem, Dubai, Kinshasa, Kolwezi, Benin, Port Elizabeth, Casablanca, Aqaba, Data from the UN, Mbuji-Mayi, Beirut, Lagos, Soweto, Addis Ababa, Lusaka, Brazzaville, Subra al-Haymah, Manama, Dar es Salaam, Colombo, Nairobi, Amman, Hong Kong, Abidjan, Sharm el-Sheikh, Luanda.